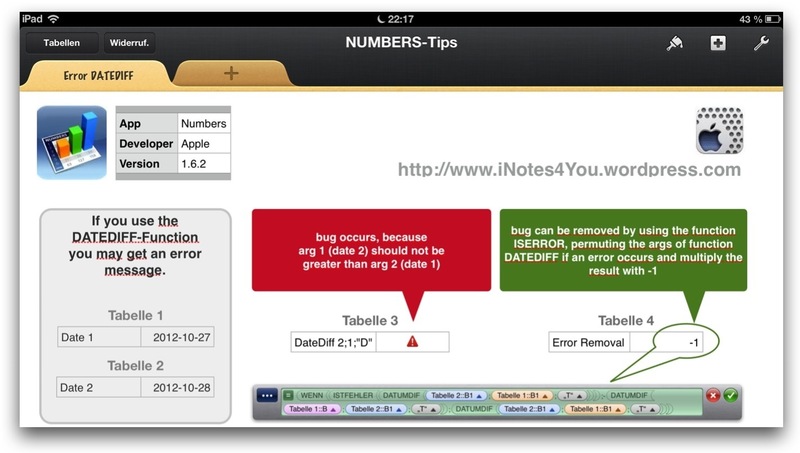 An error occurs in Apple’s iWork-App NUMBERS when using the DATEDIFF-Function. This function determines for example the number of days between two dates. The bug occurs, if argument 2 is greater than argument 1 in DATEDIFF(arg1, arg2, “D”). The downloadable .numbers-Document explains how to fix this bug using the ISERROR-Function.